Congratulations to Bethesda's first DAISY Award recipient, Monica Kornstein, RN, of the 3rd floor Clinical Medical Unit at Bethesda Hospital East! Monica was presented with the DAISY award in a surprise ceremony on September 27. Monica was nominated by a grateful patient who wrote about her caring, compassionate clinical skills that made a difference during his care, not once but twice when he was a patient at Bethesda Hospital East. Fely Franco, RN is Bethesda’s October 2016 recipient of the DAISY Award. Fely has worked at Bethesda Hospital East for 30 years. During her career at Bethesda, Fely has worked on the 3rd Floor Clinical Medical Unit as a night shift charge nurse, a day shift assistant nurse manager and presently as a C3. Fely loves to mentor novice nurses and is always helpful. She has developed strong relationships with physicians, nurses and the leadership team. Fely is continually adapting and brings a positive light to all situations. She is admired and loved by the entire team. 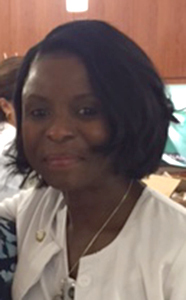 Doroty Dessalines, RN, BSN is Bethesda’s November 2016 recipient of the DAISY Award. Doroty earned her Bachelor’s in Nursing from Chamberlain College of Nursing in Illinois and has been a nurse for 23 years. She left the nursing field for a few years and became a business owner. She missed nursing so much that she returned and is now working in the Telemetry Unit at Bethesda Hospital West where she is cross training for a care coordination (C3) position. 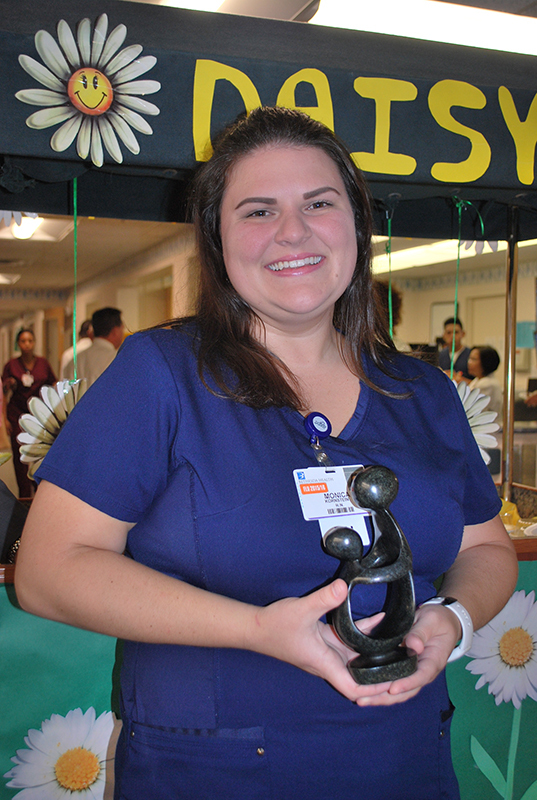 Chelsea Vicinanza, RN, is Bethesda’s December 2016 recipient of the DAISY Award. Chelsea earned her associate’s degree in nursing from Keiser University where she was valedictorian of her class in 2011. She began working at Bethesda as a nurse in Telemetry in April 2012. In 2014, Chelsea received her bachelor’s degree in nursing from Florida Atlantic University. 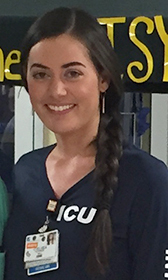 She transferred to Bethesda’s Critical Care Unit in April 2014, where she successfully completed the CCU preceptorship program. In July 2016, she was promoted to RN III Nurse Clinician. Chelsea is a clinical expert and maintains evidence based standards within the CCU. She uses key observation skills to identify subtle changes in her patients’ conditions. She quickly establishes a rapport with patients and their families. Chelsea’s calm, caring and knowledgeable manner provides comfort and peace of mind to patients and families. Chelsea was nominated by a grateful family member whose loved one was in the CCU. "One of the most impressive qualities about Chelsea is that she listened carefully to both the patient and the family with regards to health history, likes/dislikes and personal preferences. She valued our input and used it as a factor in their decision making. "